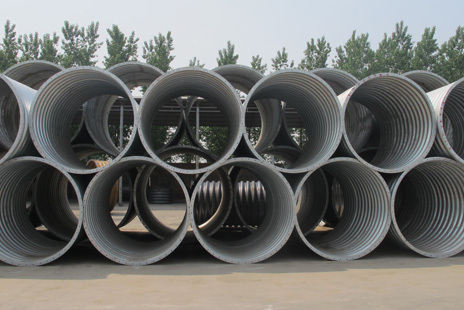 The effective area is one of the basic performance parameters of the Corrugated Metal Pipe, which represents the ability of the bellows to convert pressure into concentrated force. The stability of effective area of corrugated tube directly affects the accuracy of the force balance instrument. So in this situation not only requires that the bellows have a reasonable effective area, but also requires that the effective area in the working process does not change with the working conditions. The effective area is an equivalent area, and the pressure acting on this area will produce an equal axial force. Generally, with the increase of internal pressure, the effective area of the bellows becomes smaller, and the surface becomes larger with the increase of external pressure. The ratio of the volume change of the bellows to the corresponding effective length under the action of external force or pressure difference is called the effective volume area. The requirement of effective area of bellows and its calculation method depend on the usage of bellows. If the bellows are used as elastomeric seals or thermal compensation of pipes, the effective area is only used to calculate the axial force of bellows forming and the thrust in the using system. There are some differences between the calculated and measured effective area of the bellows. In general with special formula to calculate effective area of bellows, is can meet the need. When the corrugated pipe is used for the force balance instrument and the field platform which needs to convert the pressure into power, the effective area should be accurately determined and the measurement should be carried out one by one.